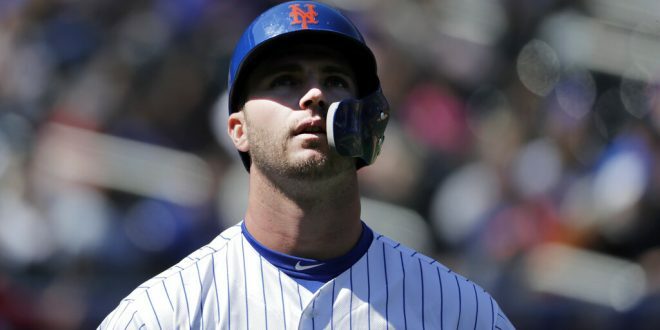 The New York Mets are at the top of the NL East in large part because of former Gator first baseman Pete Alonso. 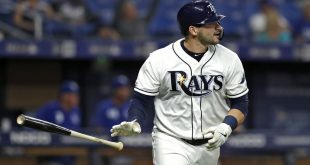 In his first season in the majors, Alonso leads the team in batting average, home runs, RBI, on-base percentage and hits. Alonso has played in all 12 of the Mets’ games so far in the early stages of the MLB season. Currently, the Mets sit at 8-4, followed by the Phillies at 7-4 and the Braves at 7-5. From his first 45 at bats, Alonso has racked up 17 hits, including six doubles and six home runs. He’s driven in 17 runners and scored 10 runs himself. As the No. 3 hitter, Alonso had a quality performance against the Mets on Thursday. He had two hits, a walk and two RBI. One of his hits included his sixth home run of the season, where he smashed one 454 feet to centerfield. 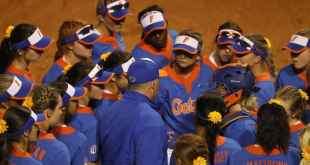 In three seasons and 157 games with the Gators, Alonso averaged .316 at the plate. He hit 24 home runs and drove in 124 runners. His three seasons were limited, however, as he only played 39 games as a sophomore. His last season for the Gators was his most impressive. 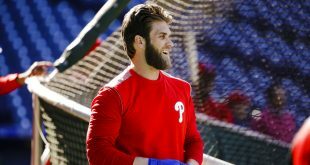 Alonso averaged .374 with 14 home runs and 60 RBI. His previous best season, he had averaged .301 and hit five home runs and 32 RBI. 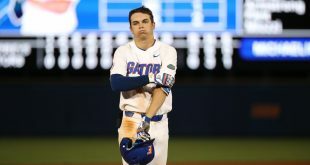 The Mets drafted Alonso in the second round with the 64th overall pick. Alonso spent his first three seasons in the minor leagues. Throughout the various levels of competition, he averaged .291 at the plate and recorded 71 home runs and 247 RBI. The Mets will continue their series against the Braves tonight at 7:20 p.m. Tune in to see if Alonso can continue his hot streak.